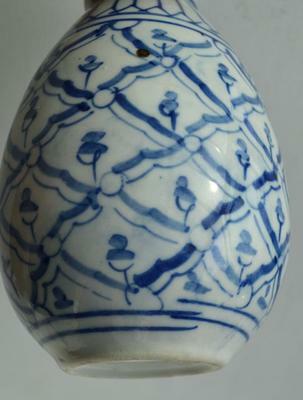 From which period can this small pinapple pattern blue white vase be ? 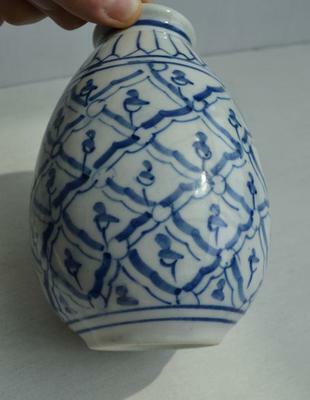 Comments for From which period can this small pinapple pattern blue white vase be ? I cannot confirm that this is Chinese, neither do I know where it could have been made. Just a guess: perhaps Japanese? The shape is nothing traditional Chinese; the decoration is nothing Chinese. If made in China, it would have been made in the last few decades. 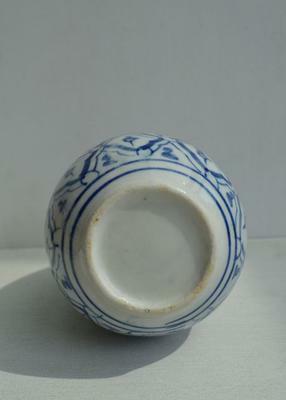 Traditional Chinese porcelain does not show so many innovations.